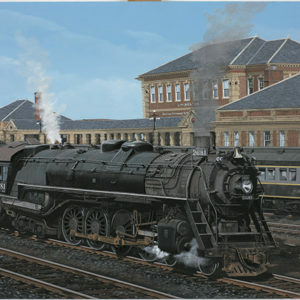 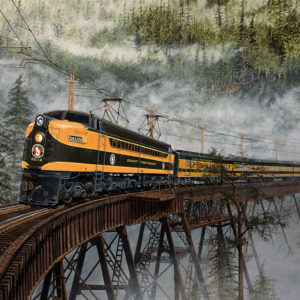 This foggy scene depicts one of the Great Northern Railway electrics, #5018, crossing the Foss River Bridge. 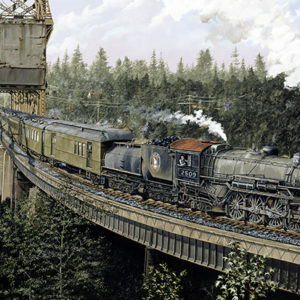 This stately bridge was built originally from timber in 1892 on the western slope of the Cascades in the state of Washington. 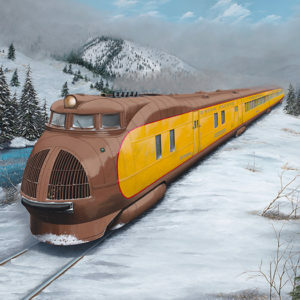 It had a ten-degree curve and a grade that restricted speeds to under 20 miles an hour. 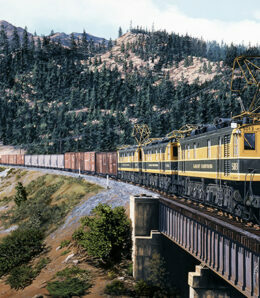 It was rebuilt with steel in 1909 and upgraded thereafter. 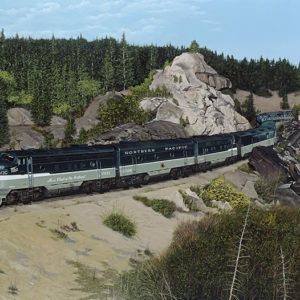 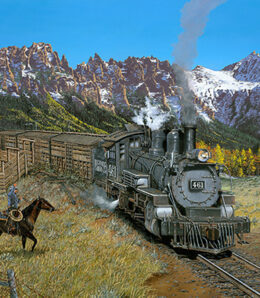 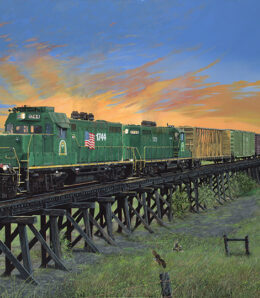 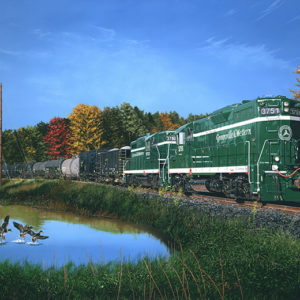 Renowned train artist Jim Jordan was inspired by the magnificent green and orange engine with the “Rocky” emblem and the intricate details of this bridge. 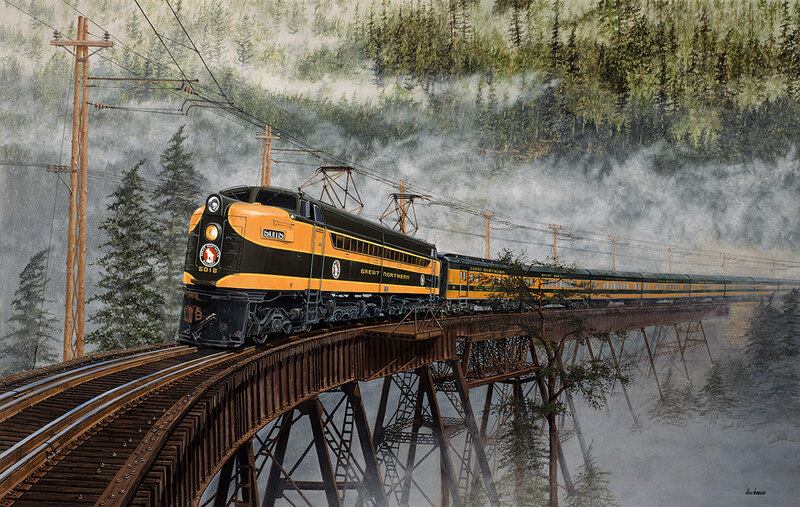 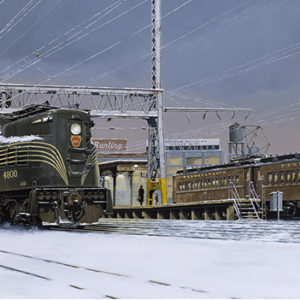 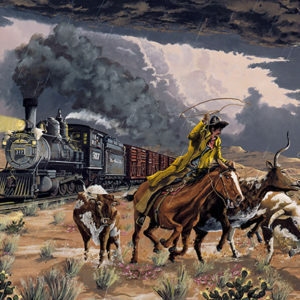 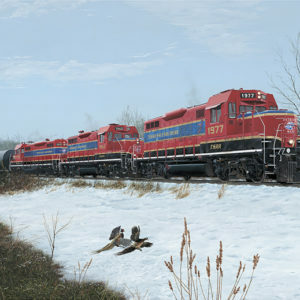 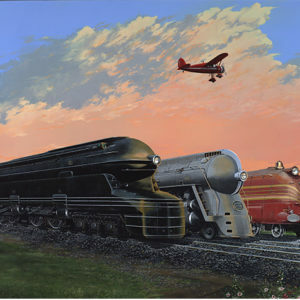 ” Foss River Crossing” has given us the privilege of a rare glimpse into the mystical era of electric trains. 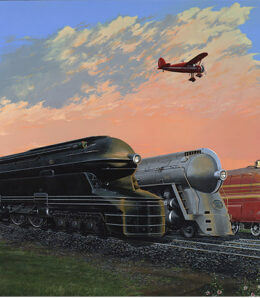 Be sure to click the image to enlarge the piece.